Happy Birthday, Llano Main Street Program! Celebrating sixteen years this year! What a thrill that Llano was chosen to host Texas Main Street's winter training session to help celebrate this anniversary. 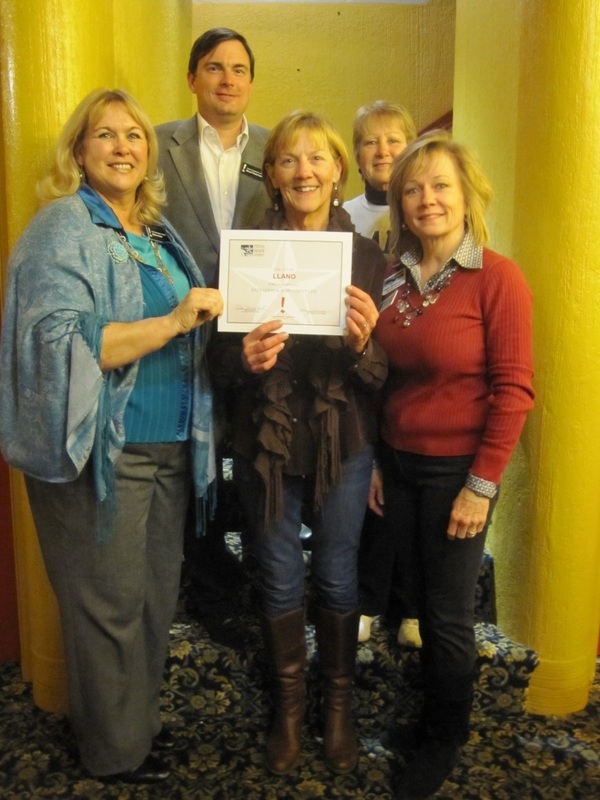 Llano, Texas has been commended for successful annual progress as a designated Main Street community. The Texas Historical Commission’s (THC) Texas Main Street Program (TMSP) made the announcement today at the winter gathering of Texas Main Street managers. Sixty-seven designated Main Street Programs in Texas were recognized. These cities will be further recognized as Nationally Accredited by the National Main Street Center, a subsidiary of the National Trust for Historic Preservation, at the National Main Street conference in New Orleans in April. Accredited programs show above average performance in ten categories on an annual report. Selection criteria focus on planning, partnerships, staffing, volunteer effort, preservation ethic, training and program assessment through reporting. The state office also works with programs throughout the year by providing various services based upon local needs. Trust Main Street web site at http://www.preservationnation.org/main-street/. For more information on the Texas Historical Commission’s Main Street program visit www.thc.state.tx.us.